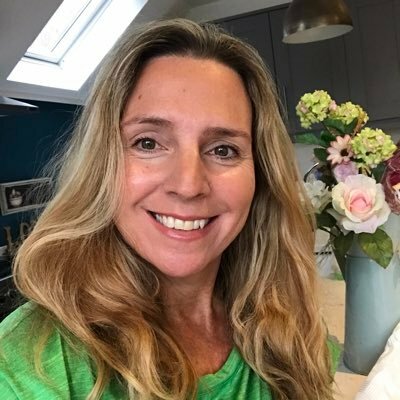 I had my second treatment 6 weeks later – again, yep, there was a little discomfort during the treatment, but it subsides really quickly and it is definitely bearable – and then around February, I went back to see Sherina to show off the results. I was really undecided about putting my belly flab out there on the internet – it’s NOT a pretty sight, I know, I know. But, I like my wine and carbs, I’ve had three kids and I’m coming up to 50, so give me a break! 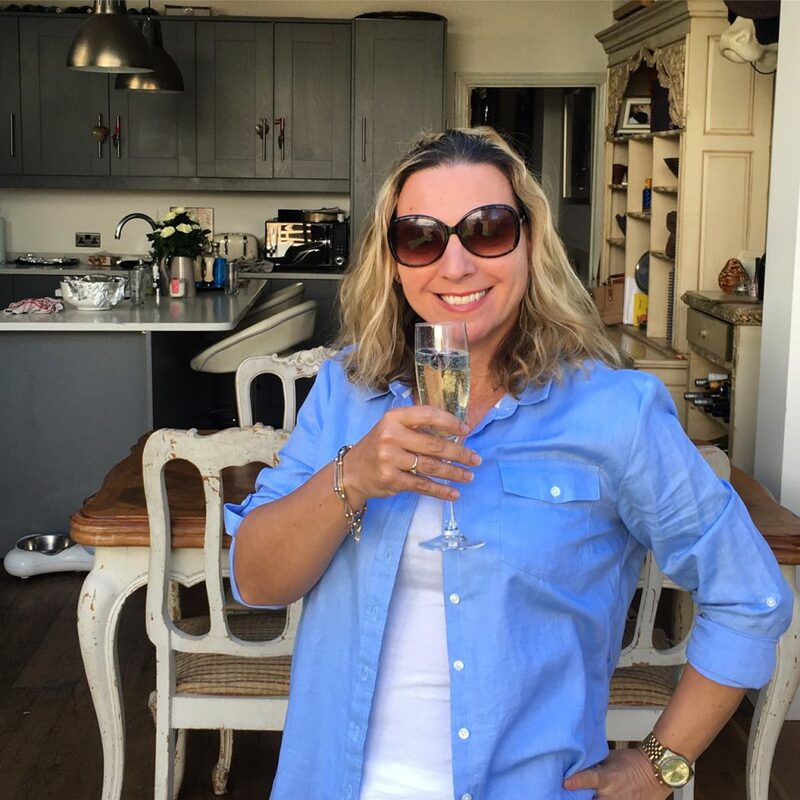 I’m doing this all in the name of research and so that I can show my gorgeous readers what can be achieved by the treatments that I try and how it might benefit you too…or not. And in this case, even though it didn’t transform me into Elle McPherson (nothing short of a miracle will do that) it definitely worked. I had actually put on a pound in weight when I had my final photographs taken but the ‘curves’ had considerably diminished. I could tell before having my pictures taken that there was an improvement, by the fit of my clothes – particularly tops. My waist was slightly smaller but it was the area underneath my bust down to the lower part of my stomach that had really firmed up and slimmed down. Yay! I took these images of the photos on Sherina’s laptop, so please excuse the wavy lines…though really, there’s no amount of editing going to make these babies any more pleasant to look at! I honestly didn’t think the treatment would work as well as it did and, even though I felt the difference with the fit of my clothes, it was only when I compared the before and after pictures that I got a real shock at exactly how much sculpting had taken place! Yes, it definitely works, but it is very expensive and I guess that is understandable when you consider the impressive, high-quality technology that has gone into the development of this groundbreaking treatment. As we all know, in life, you get what you pay for! It costs around £250 for each laser grid and you will almost certainly need at least 2 sessions of 2 laser grids to target the areas you need to. It’s the perfect solution for those with just a little stubborn fat that exercise and diet can’t shift. To put the expense aspect into prospective though, if I was considering liposuction, which can cost even more and definitely holds more health risks, then this non-surgical solution would certainly be my first port of call. 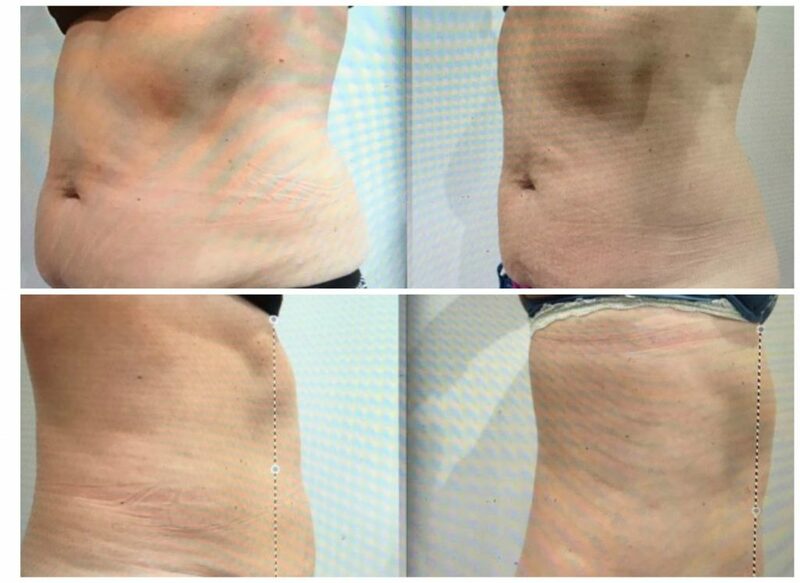 Not only for the low (virtually nil) risk factor, but with SculpSure there’s no downtime at all and while the laser destroys the fat, it also shrinks the cells so that there’s an improvement in skin tone and texture and you aren’t left with weird lumpy or uneven bits (which is sometimes a downside with surgical liposuction and non-surgical fat-freezing.) So, yes, I would recommend SculpSure as an option to explore to anybody who might be considering liposuction. And finally, I know that with healthy eating and exercise I could naturally slim down and improve my lumps and bumps without any costly aesthetic procedures, whether surgical or non-surgical, and I do feel happier about my body when I’m committed to a regular exercise regime and around a stone lighter than I am at the moment. BUT, as Stressed Husband often says when I’m moaning about my excess fat while shovelling in a bit of pizza, I’m obvioulsy not that worried otherwise I would do something about it. i.e., go to the gym more often and eat a bit healthier. He’s right. I know. I’m a little bit lazy and a little bit greedy. Who knows? Next month I might decide to go hell for leather at the gym, throw away any sign of carbs in the house and invest in a smoothie blender, but for now, to tell you the truth, It doesn’t actually bother me too much as I’m too busy enjoying myself. Cheers! Being invited to try two sessions of complimentary SculpSure with the Cynosure team and in the safe environment of award winning S-Thetics, with the wonderfully reassuring and professional Sherina, was an amazing opportunity. I’m always happy to spend time there! You can find out more about S-Thetics and SculpSure here.